The musical collective known as Antibalas (Spanish for bullet-proof or anti-bullets) was conceived of in Mexico City and formed in Brooklyn New York. The early nucleus of the group was composed of the band's founder Martín Perna and later included several other members (Gabriel Roth, Michael Wagner, Del Stribling aka Binky Griptite, Victor Axelrod, Fernando Bugaloo Velez, Anda Szilagyi) from the Soul Providers / Dap Kings band, performing their first show in May 1998 at St. Nick's Pub in Harlem NY. The group toured heavily between 2002 and 2007 with the releases of their third album, "Who Is This America", and fourth, "Security". From 2007-2012 many members and former members of the Antibalas participated in the Tony-Award winning Broadway musical FELA!, including the show's musical director Aaron Johnson, lead saxophonist Stuart Bogie, and assistant MD trumpeter Jordan McLean. In 2011, the group returned to the Daptone House of Soul to record their most recent album, "Antibalas" produced by emeritus member Gabriel Roth. The group toured heavily throughout the US and Europe, and later that year, performed songs from the album live on NBC's Late Night with Jimmy Fallon, and ABC's Jimmy Kimmel Live. 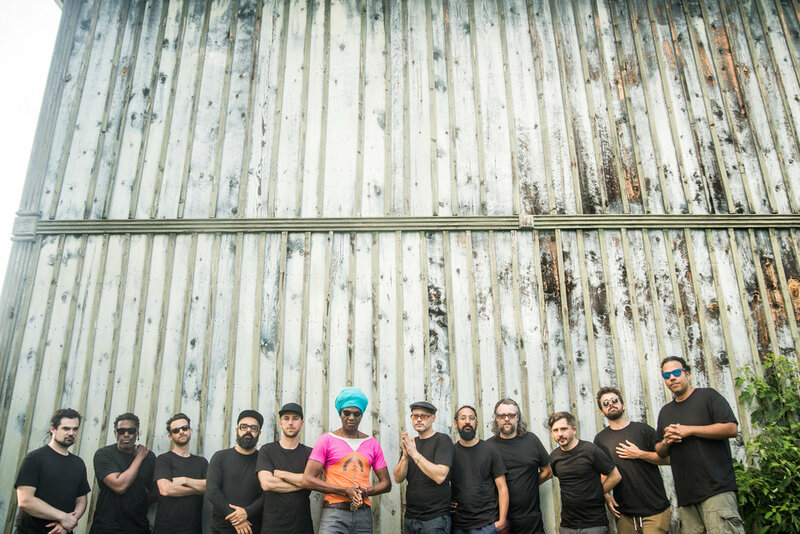 Antibalas has recorded five studio albums on the Daptone, Ninja Tune, Anti-, and Ropeadope labels as well as a number of singles and EPs. The band finishing their sixth studio album, due out in mid-2017. Though recognized for their fluency in Afrobeat and funk music, the band is known to collaborate with diverse groups and artists, from Angélique Kidjo to Jovanotti to Medeski Martin & Wood to Public Enemy, and served as the house band at Carnegie Hall in 2014 (Music of Paul Simon), 2015 (Music of David Byrne & Talking Heads) and this year's 2017 Music of Aretha Franklin. If you’ve ever caught Antibalas live over the course of their nearly two-decade existence, you already know what an overwhelming and exhilarating experience their music is in-person, and somehow they’re able to bottle it up and make their studio work groove and climax just as dramatically, like you’re right there in the room with them. It’s been five years since the Brooklyn collective released a record, and now they’re about to return with their sixth, Where The Gods Are In Peace. 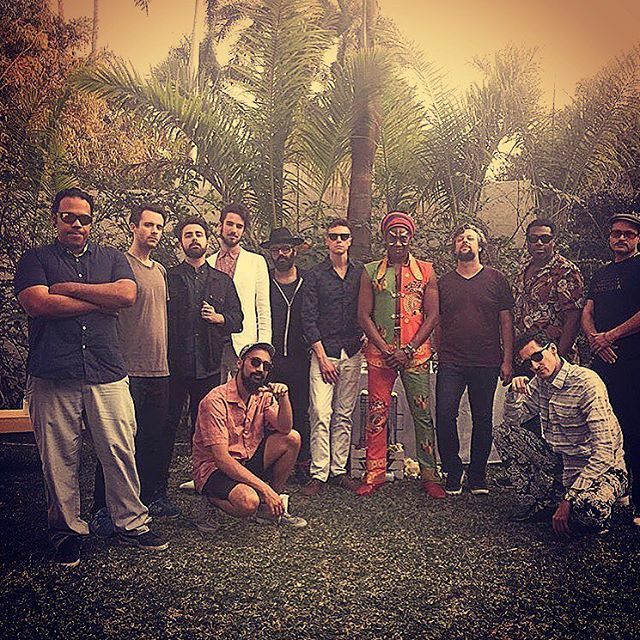 True to classic Afrobeat’s potential to tackle dire social and political issues via cathartic party music, Antibalas emphasized positivity and hope. Antibalas, the Afrobeat band founded in 1997 in Brooklyn, follows the template of Afrobeat’s inventor, Fela Anikulapo Kuti, playing songs with long, smoldering instrumental stretches that assemble and disassemble the groove, made for extended dancing. On “Where the Gods Are in Peace,” the group’s album due next week, the full-length “Gold Rush”runs for 11 funky minutes. But the four-minute radio edit on YouTube is a dynamic highlight reel. It cuts back the intro and interludes to plunge right into the vamp, moving through ever more urgent verses (about colonialism and plunder) punctuated by bellicose interjections from paired guitars and a horn section, rapidly culminating in a thrilling full-band drive that unites them all. J.P. In particular, the latest track off the album, “Gold Rush”, takes exploitation to task. Over the course of 11 minutes, Antibalas remind us of the ways in which, time and time again, indigenous communities have been taken advantage of and then disposed of like nothing but a nonhuman means to an end. The song’s complex, grooving arrangements — some darkly tense, others rich and rallying — capture the urgent subject matter at hand. Quebec City Int'l Summer Fest.